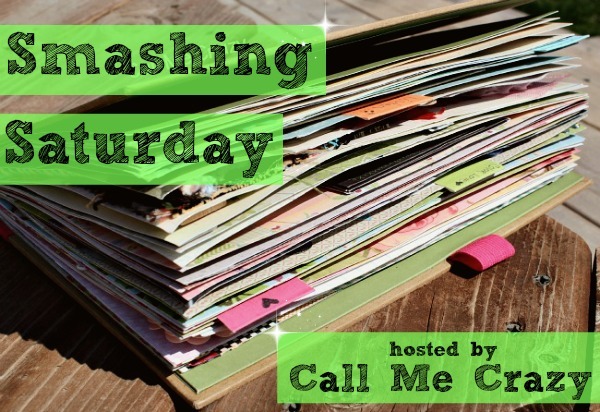 Click here to see old Smashing Saturday posts. I love color so what better way to show some color love than having some of my Smash Book's pages dedicated to a certain color?! Earlier this year I did a sewing color swap and both of our colors were purple! I took picture of the beautiful gifts I received, Max snooping through the paper, what I sent and a card from the lovely lady that sent me the package. 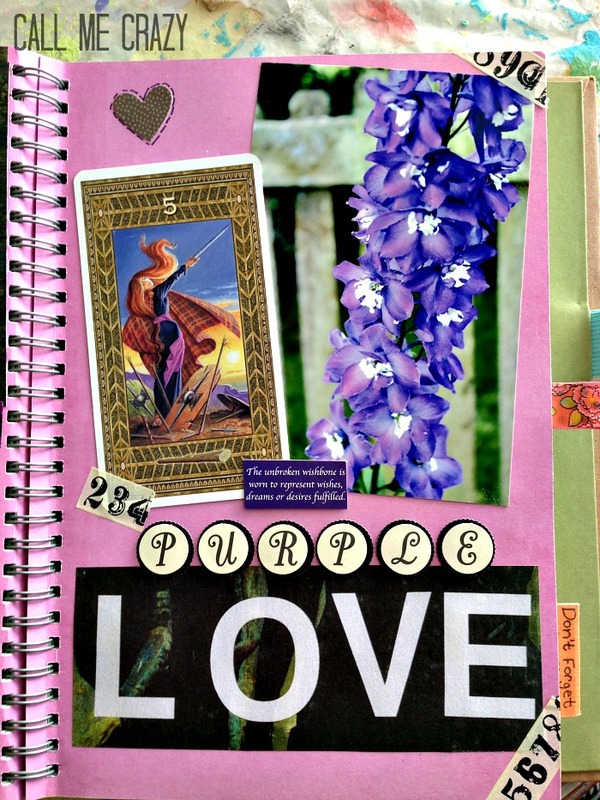 I finished the page off with a title in purple and a pretty purple fabric flower. I love how most of the color is in the photos and that I was able to create a 'one color' look without having to use tons of magazine clippings- defnitely a change! 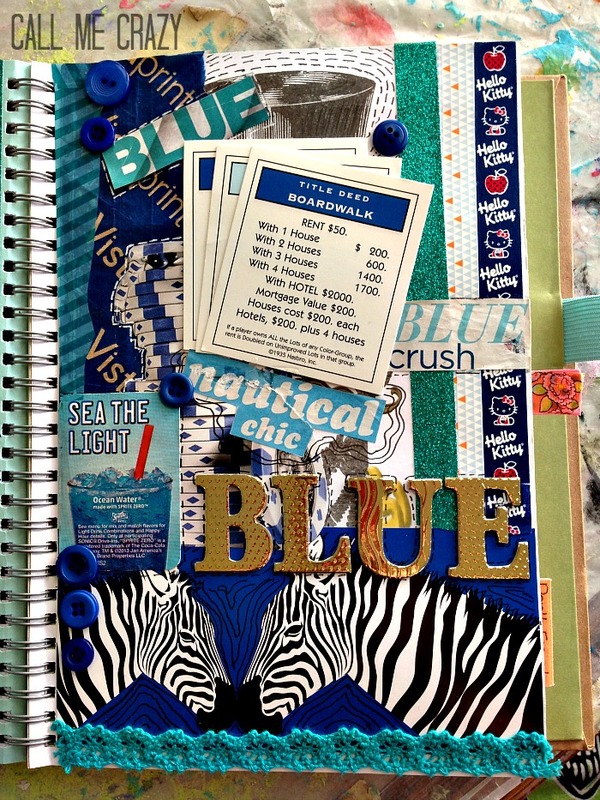 This page is just blue everything! I save a lot of random stuff so I can smash it later one and I noticed that I had a ton of blue items. I couldnt' resist dedicating a page to just blue! 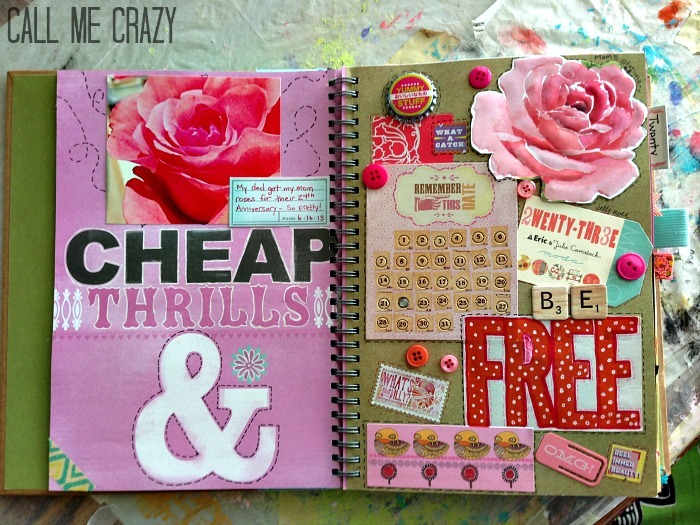 For these pages I took a 'pink' cue from the left hand page and decided to make everything pinkish. This is extremely color coded, but there's definitely more pink than any other color. I brought in orange, yellow and light browns to accent the pink. This week's layout was super quick and easy to do. I've been pretty busy lately, but didn't want to completely neglect my Smash Book so I just decided to go with a color I love- purple! I used a random tarrot card I found in a book, a photo of a flower in my backyard, a saying that came from jewlery, sticker letters and a cut out from a magazine with some washi tape on the corners. August 24th: Stickers- Incorporate stickers into you page's theme. 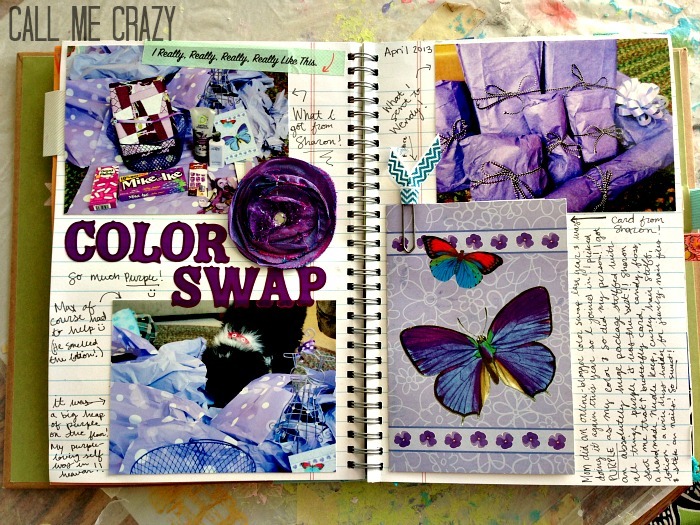 August 31st: My Favorites- Journal about your favorite televisions shows, movies, books and more! Have any ideas for Smashing Saturday themes? Let me know in the comments and I'll credit/link to you and your blog in the post!